Point Breezeway is a venue that is beaming with natural light, happiness and everything you need to create a warm and exceptional event, and better yet, it is two doors down from our charming bakery space in Point Breeze. They host small, intimate gatherings including baby showers, bridal showers, small weddings and business meetings. If you have picked this beautiful venue for your event and would like to have it catered. Look no further! We are more than happy to create the ideal meal for your event – from small finger foods, to a full seated meal our catering team will put together your hearts desire. However, for your convenience we have put together a few pre-priced packages that you can use as a guideline for your event! This package is perfect for those events where mingling is the order of the day. It includes 6 different flavors of appetizers and/or sweet bites. All would be one or two bites sized. *This package is easily enhanced by the addition of a cheese tray, veggie tray or fruit tray for that little something extra. This package is wonderful for a Saturday or Sunday morning event at PointBreezeway. Dress up in your fancy clothes and come act as if you are about to have tea with the queen! 4) Pastries (2-3 flavors) popular options are our scone sandwiches, mini bundt cakes and our sticky buns. *This package is easily enhanced with the addition of a cheese board or a pasta salad. This package is meant for those of us with an inner Marie Antoinette – you know, that part of us that wants to walk into a room and see tables piled high with cream puffs, petite fours, chocolate dipped strawberries and custard filled tarts. Well, dreams really can come true. We promise. With this package you can pick anywhere from 5-10 different flavors of decadent pastries and to be piled high on trays for your dining pleasure! Any of these packages can be customized, added to or subtracted from as needed! 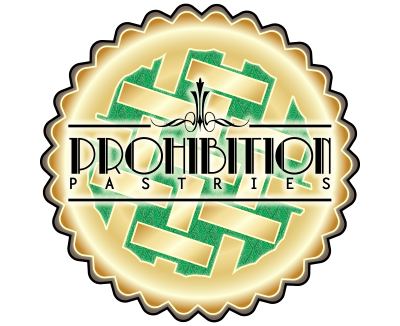 Schedule your consultation today by calling us at (412) 242-3300 or emailing us at admin@prohibitionpastries.com.